LOS ANGELES (Scrap Monster): The Kirkland City Council passed an ordinance that proposes ban on use of disposable plastic bags by city businesses. As per the proposed law, the retailers are not allowed to use single-use plastic bags at checkout counters. Additionally, they should also charge customers at least 5 cent fee on recyclable paper bags. Certain categories of plastic bags such as those used for transporting bulk food, hardware items, frozen foods, meats, and newspapers are exempted from the law. All the City Council members except Toby Nixon voted in favor of the ban. Nixon had opposed the bill from the beginning itself. Mayor Amy Walen who voted in favor of the ordinance stated that the ban is necessary for curbing waste and pollution. She termed the ban as ‘environment-friendly’ and added that the passage of the bill reiterates Kirkland’s commitment to environment. An earlier survey conducted among City residents had showed strong opposition to the ban proposal. Nearly 70% of the 400 Kirkland residents surveyed had opposed any ban on disposable shopping bags. The survey also had found that almost 80% of the city residents reuse bags and nearly 50% of them already bring own bags to grocery stores. The new regulation is scheduled to go into effect on March 1st, 2016 and is expected to affect at least 170 retail businesses in Kirkland. 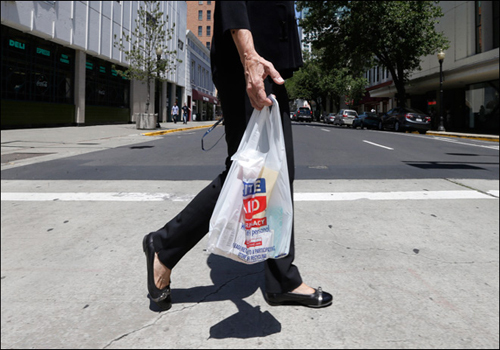 Kirkland has joined other cities such as Seattle, Issaquah, Bellingham, Shoreline and Mercer Island to ban use of disposable plastic bags.